FUELDApp – the first global solution introducing crypto and blockchain to the fueling station industry and allowing instant car fill-ups/charging using single app worldwide! The goal is to makeife much easier for drivers and much more efficient for fuel marketers around the globe. The idea is to let any driver in any developed country fuel their car instantly without waiting in queues using their mobile device. The app will be based on blockchain infrastructure offering crypto payment among other traditional methods and will use wireless tricks of internet-of-things to create a perfect experience. Stations will now receive a most efficient channel for communicating with customers and also an analytic tool based on Big Data. It is important that the service will work worldwide to create a flawless long-distance travel for anyone. We do believe that FUELDApp (global automated service for car refuels & charging), is destined to become a success! The constantly growing huge market of fueling stations does not have a single service or an app capable of simplifying the refueling and payment procedure globally throughout the world without limiting to a certain geographical scope, whether it’s a country or a certain operator’s chain. Making payments using any modern method including crypto will certainly bring more freedom to the customer. With this service in place it becomes possible to dump the mundane requirement of carrying cash, banking or loyalty cards with you at all times. A perfect solution allowing to cut down the time spending to a bare minimum thanks to implementation of wireless technologies while offering a full set of modern payment means will yield a sure benefit embodied by a whole new customer satisfaction (due to time saving, payment convenience, reduction of excessive operations and user-friendliness). This welfare is achieved through elimination of customers’ trips to/from the cash register, queuing in lines, waiting for orders and payments to be processed. 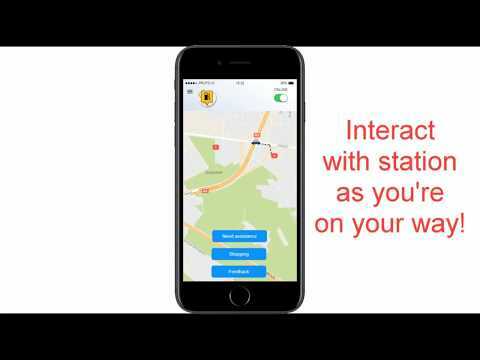 FUELDApp will also boost service station income thanks to optimization of customer traffic, speeding up of regular procedures, not to mention the financial benefit of reducing the need for employees due to ultimate automation. FUELDApp’s economic model largely based on receiving fees off fuel marketers’ turnover plus launching crypto as one of the payment methods will guarantee the profit and safety of investments in our token! * Taking into account giving 30% free bonus to Pre-ICO participants. Birth of idea, market analysis, creation of concept and app prototyping. Roll-out and testing at selected stations of various chains. Market: the EU & the UK. Market: North America, South-East Asia (including China, Japan, South Korea, Australia & New Zealand). Market: Other countries (including South America).